To sign online, click the button below. You will be taken through to an online petition form where you can sign it digitally. Download a PDF of the petition form. When complete, take a photo or scan it and email the completed form to info@trustsaction.org.nz. The petition is the only way to force a referendum over the monopoly The Trusts have held over alcohol sales in West Auckland since 1972. With enough signatures it cannot be ignored! It's been 15 years since the last vote and it is time for West Auckland to choose. Your signature could unlock West Auckland’s potential. This is the first step in breaking the shackles of The Trusts and letting our town centres grow and thrive. Your signature sends a message that the status quo isn’t good enough. 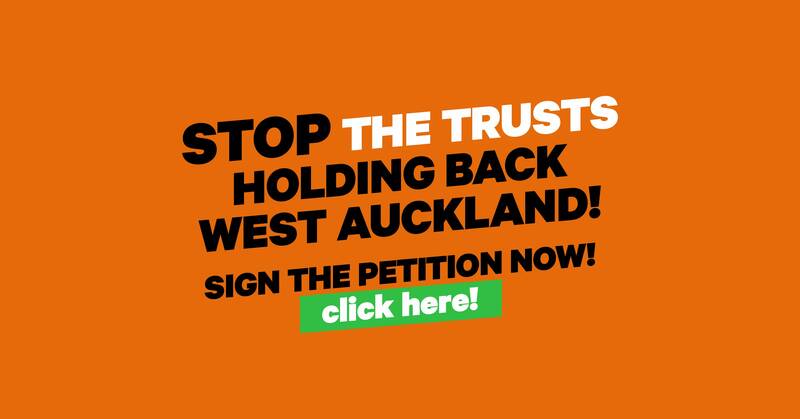 That West Auckland deserves better than what The Trusts are serving up. Well, not really actually; it only counts if it you’re on the electoral roll within The Trusts district. So if you are… YOU ARE REALLY IMPORTANT. PLEASE SIGN IT. If you’re not… sorry, you can’t weigh in on this one. 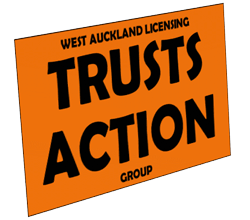 Removing the monopoly rights of The Trusts does not end/remove The Trusts from West Auckland, but it would mean that other businesses could sell and supply alcohol to West Auckland. The Trusts like the people of West Auckland to think that the Trusts Stadium was built by them. This is incorrect. They did not build the stadium but they do spend our money to have their name on it. The updated Sale and Supply of Alcohol Act 2012 expressly prohibits issuing an off-license to a dairy or convenience store.